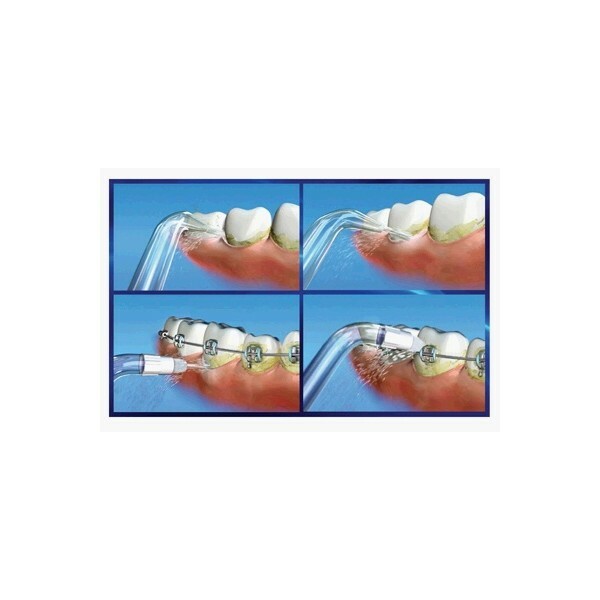 February 20, 2019 | Posted Oral Hygiene, Prevention, Its Your Health, Oral Health | Be the first one to comment. Gum infection could be linked to Alzheimer's a new study says. A study has found that people with poor oral hygiene or gum disease could be at higher risk of developing Alzheimer's compared with those who have healthy teeth. Researchers from the University of Central Lancashire (UCLan) in the UK, discovered (2013) the presence of a bacterium called Porphyromonas gingivalis in the brains of patients who had dementia when they were alive. The bug is usually associated with chronic periodontal (gum) disease. According to new research published by Dr. Stephen Dominy and Casey Lynch (2019), their team's "publication sheds light on an unexpected driver of Alzheimer's pathology -- the bacterium commonly associated with chronic gum disease," adding that it also shows a "promising" approach to address the disease. Previous studies have established a link between periodontal disease and Alzheimer's, Lynch said. She said that the new research observes a "highly significant" link between Alzheimer's and the oral infection. July 16, 2018 | Posted Its Your Health, Misc, Dental Emergencies | Be the first one to comment. Sunningdale Dental is excited to introduce our new team members. Dr. Mike joined our team in July and Dr. Lindsay joined us in September. Dr. Michael Carson (Dr. Mike) was born and raised in London, Ontario. He began his undergrad at the University of Victoria in British Columbia. While working towards his Bachelor of Science he was accepted into the dental program at Semmelweis University in Budapest, Hungary. In 2016 he received his Doctor of Medical Dentistry (D.M.D.). Upon returning to Canada he began the National Dental Examining Board equivalency process, which he completed in June of 2018. Dr. Lindsay Aiello was born in Montreal, Quebec, and raised in London, Ontario. She completed her undergraduate degree at the University of Guelph, receiving a Bachelor of Science (B.Sc.) in 2013. Dr. Aiello then continued her studies in Dublin, Ireland, where she received a Bachelor of Arts (B.A) and Honours Bachelor of Dental Science (H.B.D.S) in 2018. Lindsay enjoys spending time with her family and friends, horseback riding and all forms of water sports at the cottage. April 04, 2018 | Posted Oral Hygiene, Cavity Fighting Strategies, Prevention, Its Your Health, Oral Health | Be the first one to comment. July 04, 2016 | Posted Prevention | Be the first one to comment. For years most of us have heard about the how much sugar is in soft drinks and how bad they are for our teeth. Does that mean if we just drink “diet” sodas, that it is healthy choice for our teeth? Definitely not! What these drinks lack in sugar, they make up for with acid. The acid in many of the drinks we consume today eat away the enamel on our teeth. When you put the two together – the sugar and the acid – it spells double trouble for your teeth! In terms of your teeth, a pH of 5.5 and above will cause little or no harm. Any pH below 5.5 is bad. At 5.5 and below, a liquid will work to strip the protective enamel from your teeth. When you take a sip of soda, juice, and many other drinks, the acid attacks your teeth. Each acid attack lasts around twenty minutes. This happens again with every sip. These continuous acid attacks weaken the tooth enamel. Once the enamel is weakened the bacteria in your mouth can cause a cavity. It is not just the soft drinks that are so unhealthy for your teeth. As you will see in the chart below, it is also fruit juices and sports drinks. All these drinks have become a popular choice for a growing number of people, especially kids, teens and young adults. Too often these drinks are replacing healthy choices such as milk and water in our daily diet. Larger serving sizes make the problem worse. From 6.5 ounces in the 1950s, the typical soft drink can has grown to 12 ounces, (and 20 ounces for a bottle). Presently, teens drink three times more soda than twenty years ago. It may surprise you to see the chart below – examine it carefully – taking into consideration the acid level and amount of sugar in each drink. Because the pH scale is logarithmic, a one unit change in pH is associated with a 10 fold change in the acidity. For example, lemon juice has a pH of 2.0, while grapefruit juice has a pH of 3.0. Lemon juice would therefore be 10x as acidic as grapefruit juice. Even more enlightening, Coke Classic is roughly 100 times as acidic as Barq’s root beer. Pop, juice and sports drinks should be consumed at meals to limit your teeth’s exposure to sugar and acid. Do not sip on them all day long. Rinse your mouth with water after consuming pop. It is important to do this prior to brushing your teeth as it will help to neutralize the acids before you brush them into your teeth. Chew xylitol gum or mints after each time you consume these drinks during the day to help to restore the pH to a less acidic level. Never give a young child soda at bedtime. The liquid can pool in the mouth coating the teeth with sugar and acid all night. Always use fluoride toothpaste to protect your enamel. November 02, 2015 | Posted Prevention, Its Your Health | Be the first one to comment. November 02, 2015 | Posted Its Your Health | Be the first one to comment. November 02, 2015 | Posted Misc | Be the first one to comment. Visiting the dentist for the first time should be a positive, fun experience for your child. There are some things you can do to help prepare your child for their first visit. November 02, 2015 | Posted Oral Hygiene, Its Your Health | Be the first one to comment. Infection: Over 700 different strains of bacteria have been detected in the human mouth. The site of piercing carries the potential for infection. Food particles can also accumulate around piercings and become a breeding ground for bacteria. Nerve damage: Numbness or loss of sensation at the site of the piercing can occur if nerves are damaged when the tongue is pierced. This numbness can be temporary or permanent. Nerve damage can also possibly change your sense of taste or how you move your mouth. Prolonged bleeding. The tongue is quite vascular, and if blood vessels are punctured during piercing, prolonged bleeding can occur and can cause serious blood loss. Swelling. Swelling commonly occurs after oral piercing. Following piercing, it can be severe enough to block the airway and make breathing difficult. Excessive drooling and difficulty speaking and eating: Oral jewelry can cause excessive saliva production and can affect your ability to pronounce words clearly. Gum disease: People with oral piercings have a greater risk of gum disease than those without oral piercings. The jewelry can come into contact with gum tissue causing injury as well as a recession of the gum tissue, which can lead to loose teeth and tooth loss. Allergic reaction to metal. An allergic reaction to the metal in the jewelry can occur in susceptible people. Jewelry aspiration. Jewelry that becomes loose in the mouth can become a choking hazard and, if swallowed, can result in injury to the lungs or digestive track. X-rays: Mouth jewelry can interfere with dental radiographs (x-rays). Bloodborne disease transmission: Oral piercing is a potential risk factor for the transmission of herpes simplex virus and hepatitis B and C.
Heart Problems: Oral piercings carry a potential risk of endocarditis, an inflammation of the heart valves or tissues. Bacteria can enter the bloodstream through the piercing site in the mouth and travel to the heart, where they can cause serious problems. November 02, 2015 | Posted Its Your Health, Oral Health | Be the first one to comment. Many factors can contribute to the loss of your teeth, including cavities, poor oral hygiene leading to gum and periodontal disease, bite problems, infection, fractured roots, and accidents. When teeth are lost, the bone that was around those teeth is no longer stimulated, and it eventually disintegrates, resulting in teeth shifting, and changes in esthetics of the face among other things. Dental Implants are the ideal solutions to replace a single tooth or an entire smile. A dental implant is the closest thing to your real teeth. A dental implant is actually a replacement for the root or roots of a tooth. Like tooth roots, a dental implant is a small prosthetic titanium post that is placed in the jaw bone. Dental implants are not visible once surgically placed. After several months of healing, new bone actually grows around the implant helping to secure it firmly. The dental implant post is then used to secure an artificial tooth (crown), bridgework or dentures by a variety of means. Dentures anchored by dental implants can be life changing – allowing patients to eat a normal diet, and to chew food with confidence. Dental implants are appropriate for almost anyone who is currently missing teeth or may require tooth replacement in the near future. Dental implants give back a patients’ confidence in their smile, the ability to eat comfortably, and a clean, healthy oral environment. Dental implants look and feel exactly like natural teeth: no one other than you and your dentist will be able to tell the difference. Dental implants are the longest lasting solution to simply replace a missing tooth or to recreate an entirely new smile, even if you don’t have teeth! Dental implants are very strong and durable and will last for many years. Nevertheless, implants do require maintenance. 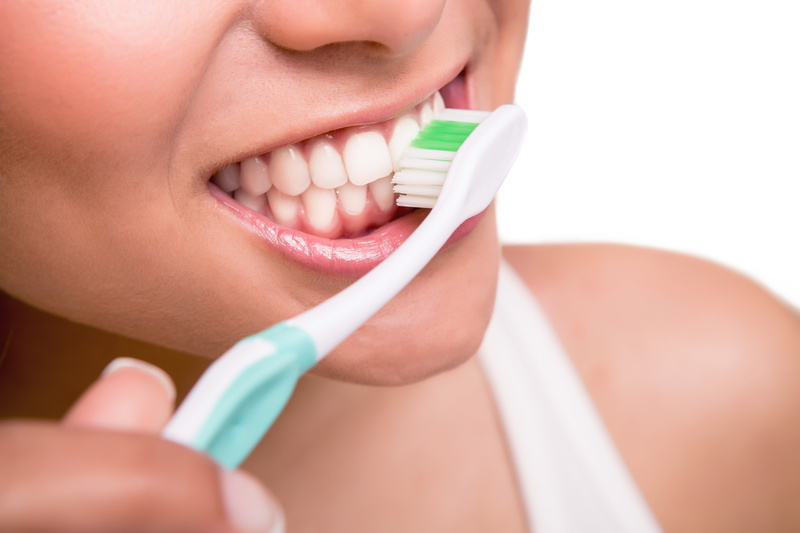 It is important to practice good daily oral hygiene, including brushing and flossing. It is also important to see your dentist and dental hygienist on a regular basis. Special instruments are necessary to clean dental implants that will not damage their metal surface beneath the gum tissues. Your dentist will need to monitor your implants to make sure the bone around the implants is stable, and that the implant crowns, bridgework or dentures are functioning adequately. Missing Teeth - What's the Big Deal? November 02, 2015 | Posted Oral Health | Be the first one to comment. Teeth can be lost through a variety of reasons. Decay, periodontal disease (bone loss), trauma, infection, and congenital abnormalities may all result in tooth loss. Society values a nice smile, and misjudges those without teeth, hence people often hesitate to smile or speak in social settings if their front teeth are missing. Therefore, most people tend to replace missing front teeth. But the same value is not put on missing posterior teeth. Because posterior teeth are not visible, they are often de-valued. But any missing tooth can have a big impact on a person’s appearance and their health. For starters, when a tooth is missing, the adjacent teeth naturally begin to “drift” toward the gap, moving from their optimal position in order to fill the space. Teeth on the top will often “over-erupt” if the tooth below is missing. While a tooth that drifts is not a painful process, it can affect both the appearance of the mouth, and the bite (how your top and bottom teeth fit together). A misaligned bite can cause problems with chewing and biting and can be the source of significant pain. Another problem lies with the deterioration of bone that occurs at the site of the missing tooth. Your tooth’s root stimulates the bone. Without this stimulation, your jaw bone can deteriorate and cause facial disfigurement. As the bone wastes away, the distortion of the face and a hollow appearance around the mouth can occur. The result of tooth and bone loss can add decades to a person’s appearance. Losing a tooth can result in a 25% decrease in bone width in just the first year. And this bone loss becomes worse and more apparent as the years go by. Teeth are an important structure to help pronounce sounds. When you lose teeth, your speech can become more difficult, and it can be harder for people to understand what you are saying. There are several options to replace missing teeth. Join us on our next blog to see the options and the pros and cons of each option.